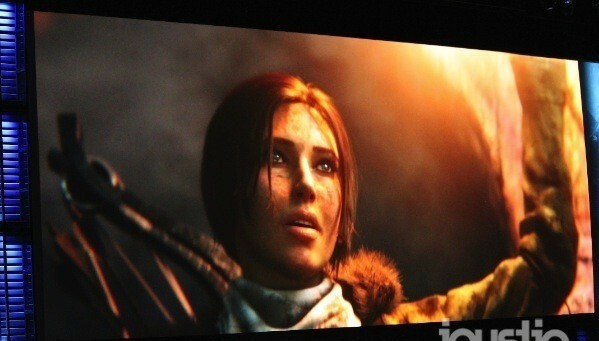 Tomb Raider sequel announced at E3. - Oh No They Didn't! Tomb Raider sequel announced at E3. Rise of the Tomb Raider is scheduled for a 2015 release. Rise of the Tomb Raider has been confirmed as the next game in the famed Tomb Raider series and Lara Croft's next step in becoming who she was meant to be. Lara Croft had a rough go of it in the Tomb Raider reboot that came out last year—rough enough to land her in therapy, suffering from flashbacks and other psychological trauma. Her therapist worries that she's fallen into a "mental trap," from which she may never escape. But there's another possibility, too: Through our struggles, as she puts it herself, "We become who we're meant to be." There's no gameplay in the new trailer--it's clearly all about the narrative, as Lara continues to evolve into the character we've grown familiar with over the past decade and change. She's still clearly not the cavalier heroine of the franchise's early days, but Rise of the Tomb Raider looks like it will be a big step in that direction. Rise of the Tomb Raider is slated for the 2015 holiday season, and our fingers are crossed for a multiplatform launch. Aw lol, you'll get the hang of it. And better weapons, which is quite helpful.